Shared by DES Architects and Engineers. 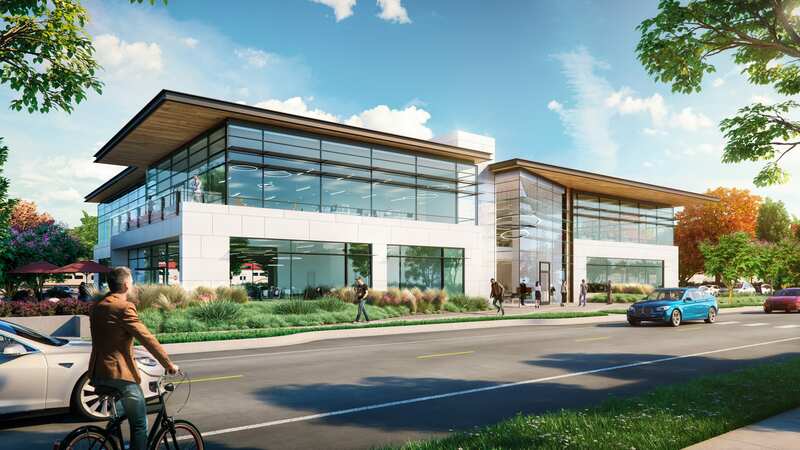 This case study focuses on creating an early stage decision making process using cove.tool for an office building in Palo Alto, California. Cove.tool’s automated Title 24 inputs, made the process fairly straight forward. 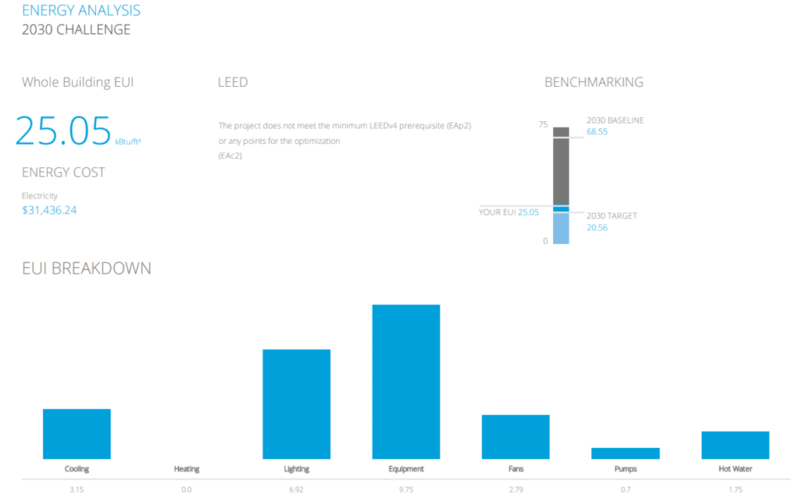 Within a few minutes, the team had the automated cove.tool repot, highlighting the EUI (Energy Use Intensity) for the office building to be 25Kbtu/sf/yr. 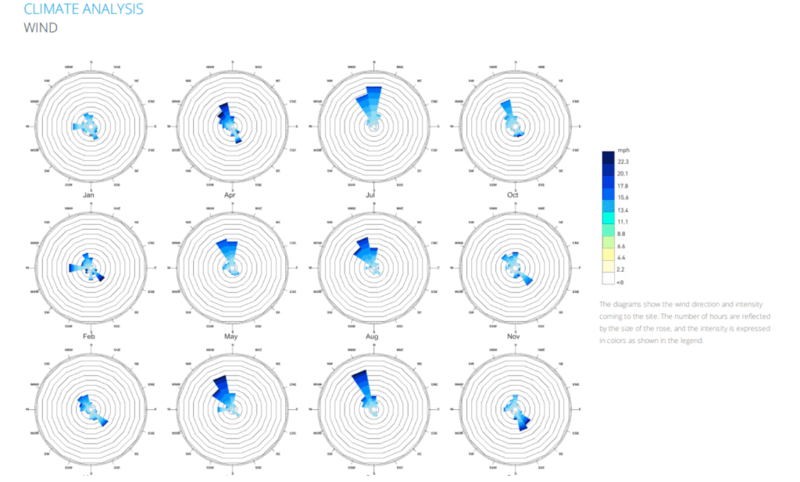 In addition to the Automated Energy Analysis, the report highlighted the climate related data and potential passive strategies that would be a great fit for this climate zone. When comparing the AIA 2030 commitment, it was observed that the proposed building was very close to meeting the target. The project load was equipment heavy (typical of office buildings in California). 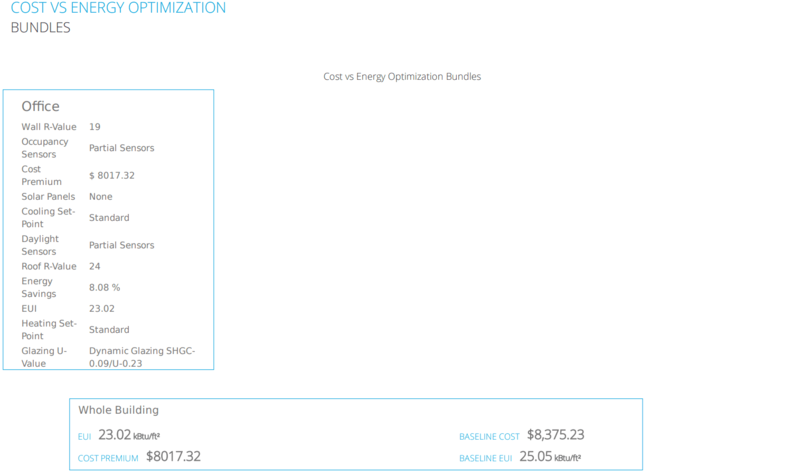 Using the parametric optimization capabilities of cove.tool the design team was able to run a total of 1296 possible combinations and highlight the bundle that was most cost and energy optimized.